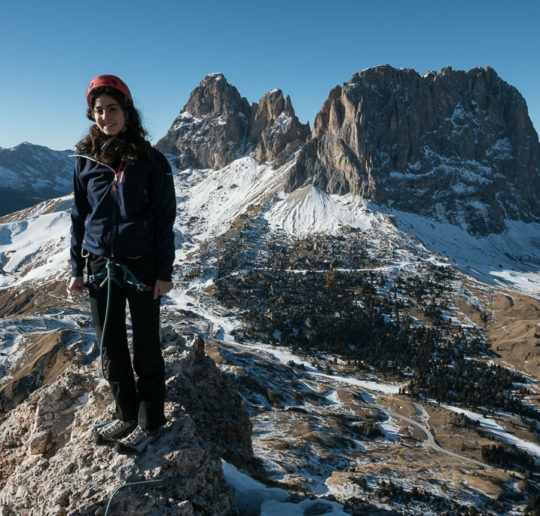 If you’re staying somewhere around Vicenza, and you love rock climbing in the mountain, then you must plan a visit to the Piccole Dolomiti. 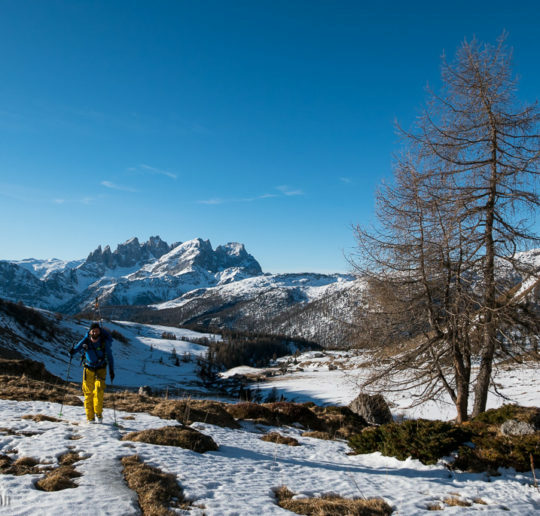 In English you can say “Little Dolomites” as they really look like the Dolomite Mountains, but they’re smaller, and pretty accessible. 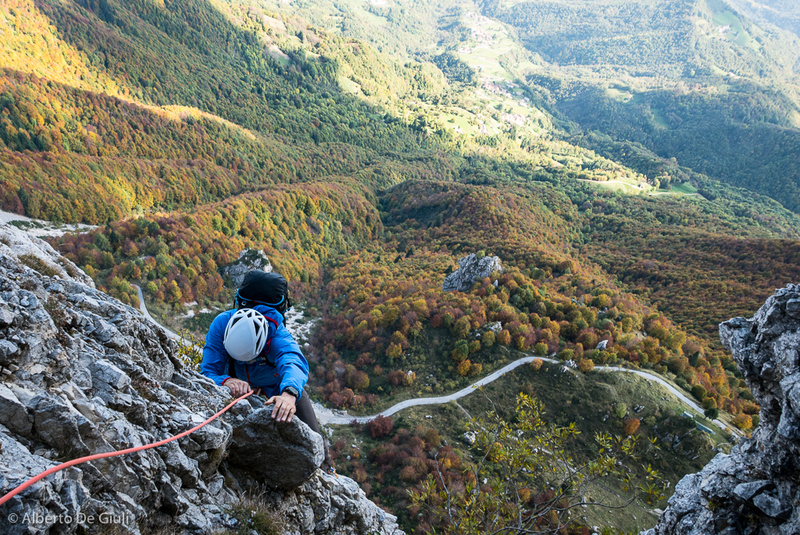 It’s around 1h drive to Camprogrosso Pass from Vicenza, you get up to1400 meter above sea level, the Little Dolomites reminds me a lot of the Grigne mountain range, that is so close to a big town like Milano (less than 1h30min drive), and these two mountain groups have always been very important for the local climbing community, expecially back in the early 20th century when the local climbers were using these walls to improve the climbing techniques and train for more challenging climbs in the Alps. 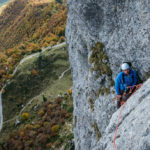 Talking about the rock climbing history, if Riccardo Cassin was the most important climbing figure for the Grigne, then we can say the same about Gino Soldà for the Piccole Dolomiti. 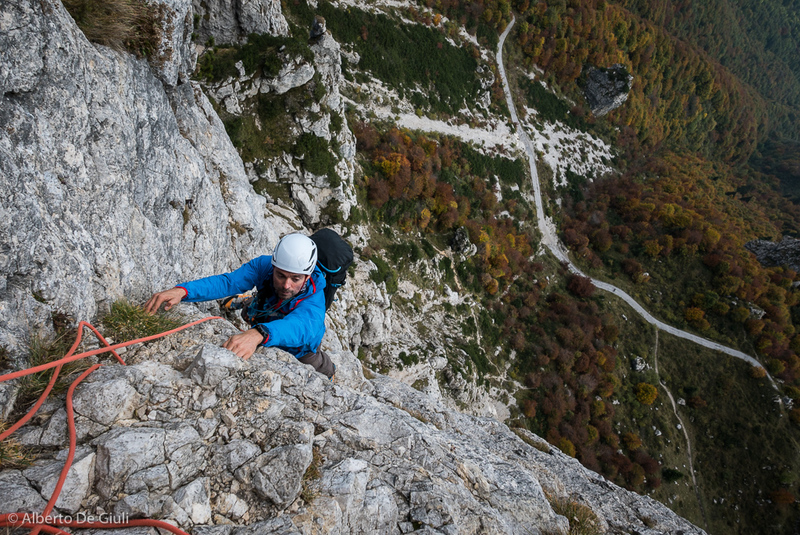 This guy from Valdagno, a little town at the footstep of these mountains, he became a very strong climber as he developed a fine climbing technique on loose rock and difficult terrain, 2 things that feature this mountain range. 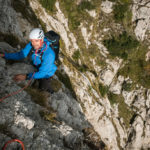 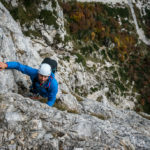 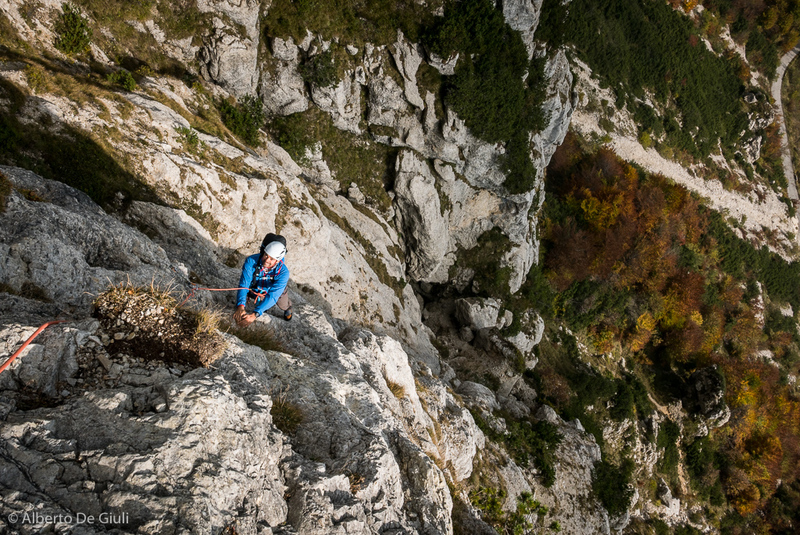 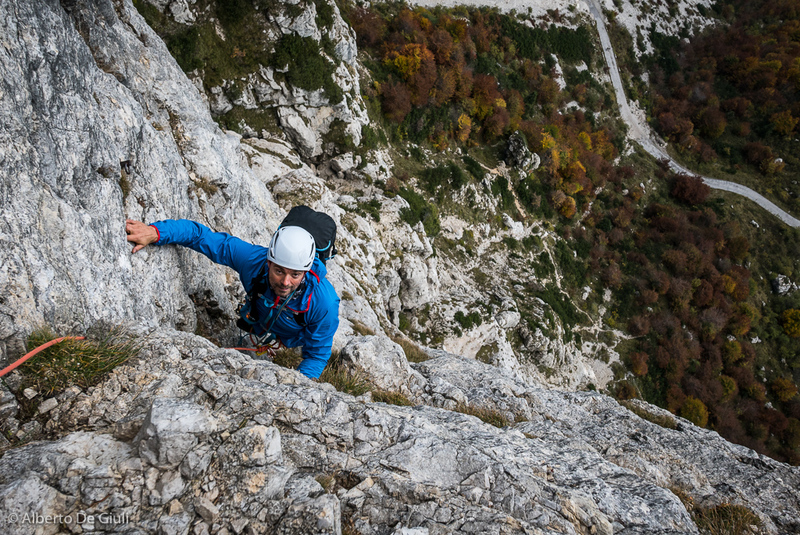 Gino Soldà opened many climbing routes around the Dolomites as well, some of them are considered masterpieces of the rock climbing history, like his route on the north face of Sassolungo in Val Gardena. 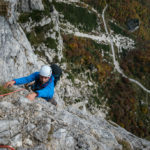 Climbing the Soldà Pillar on Mount Baffelan, Piccole Dolomiti, Vicenza. 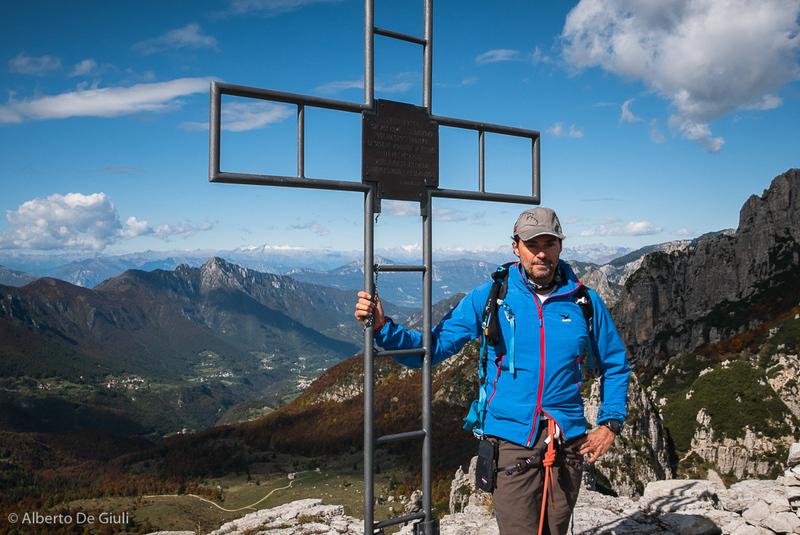 Anyhow, here I want to talk about his classic route on Mount Baffelan, on a pillar that it’s been named after him, the Soldà Pillar. 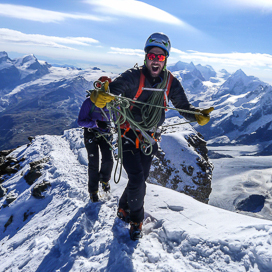 It’s a 8 pitch climb, 255m on the east face, and considered a classic route. 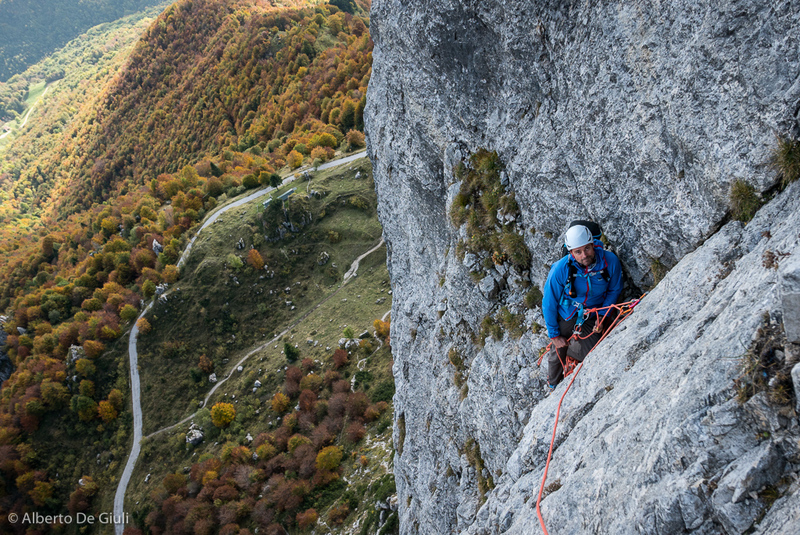 The route follows a pretty logic system of cracks and slabs, up to grade V/5.7, it’s pretty well equipped (bolted anchors on the belay stances, some bolted pitons along the pitches) and the rock is pretty solid now as it’s been climbed a lot. 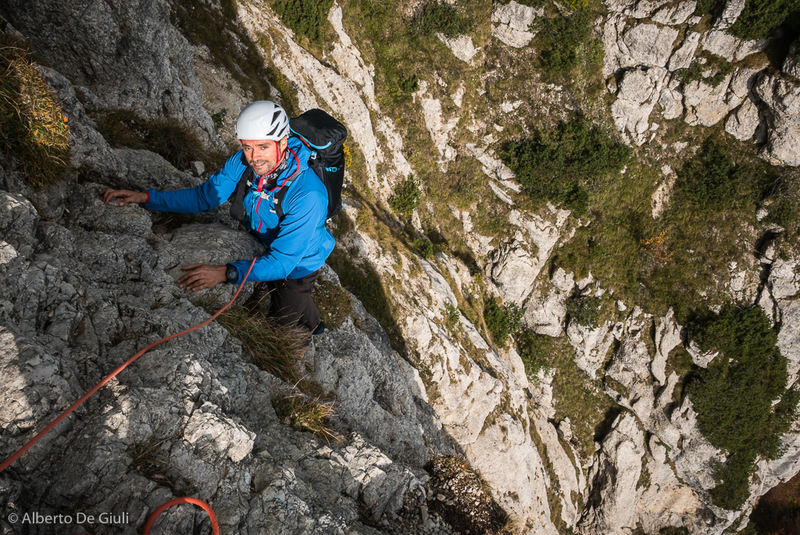 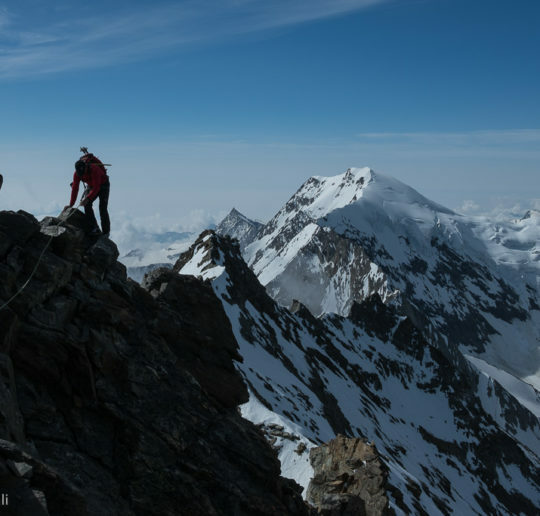 I would recommend to avoid weekends as the route could be very crowded and the approach under the east face could be dangerous if people moves rocks. 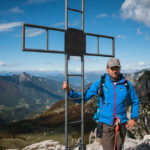 The view from the summit of Mount Baffelan is pretty unique, as you can see the big glacier of Adamello and Presanella far North, then the Brenta mountain range and Pale di San Martino group on the east. 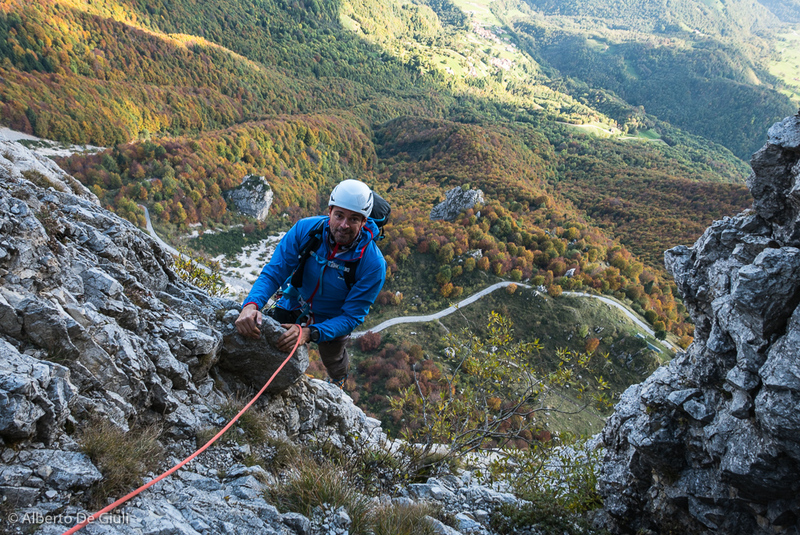 The Soldà Pillar is just one of the many classic route you can enjoy around here, and I would recommend a visit during the off season, expecially in autumn when the colours of the larch trees makes the landscape so picturesque.